Looking for an affordable water front property? Look no further! This home offers all the above and then some! 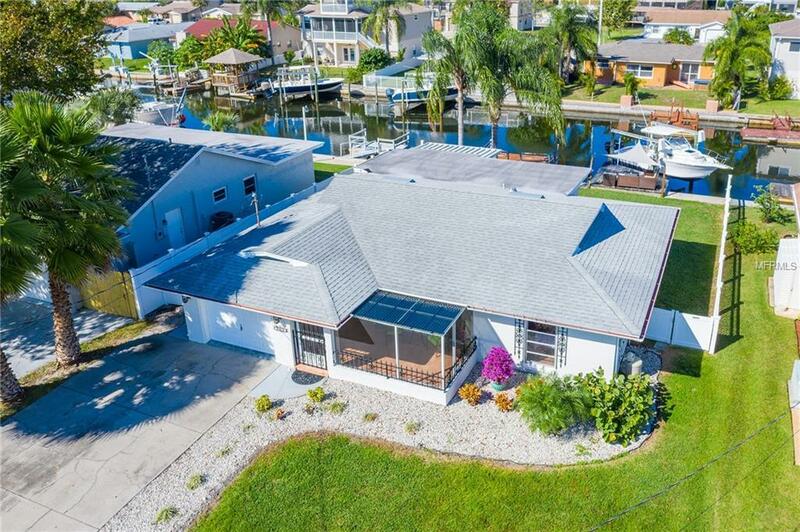 Located on a deep water canal leading to the Gulf of Mexico~ Not only is this home on the water, it offers a updated chef's kitchen with granite counter tops, solid wood custom cabinetry, stainless steel appliances including gas range and retractable hood. Completely updated bathrooms, built in entertainment area in great room, additional living room and dinning room, very open floor plan, terrazzo floors throughout, full house fresh paint, fully fenced with vinyl fencing, front screened in patio, back screened in patio, boat dock, boat lift /dock with electrical and water. Boat lift can hold up to 7000 lbs and a boat up to 28 feet. Jump in your boat and head out to the beautiful Gulf of Mexico sunsets right from your own private dock! 1 Year home warranty included, full home inspection completed, 90 day buy back guarantee, porch concierge service available to facilitate your transition, preliminary title search, municipal lien search, property profile and more have all been put done or put in place! Flood Insurance approximately $2000 a year. All you have to do is move right in!